Vaughan Videos: SR: WEBSITE: More Changes! Today I wanted to work more on the texts of the website and add some things after we had gotten feedbackfrom our teacher. 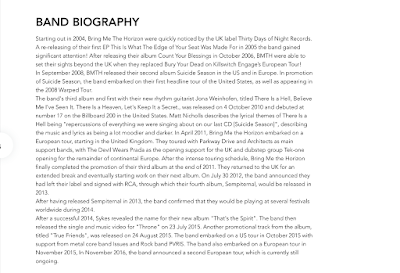 I added to the band biography and wrote about all of their albums right from 2004 up until 2015 and their tour, which they are doing 2016/2017. Another thing I decided to add was quotes from the individual band members. 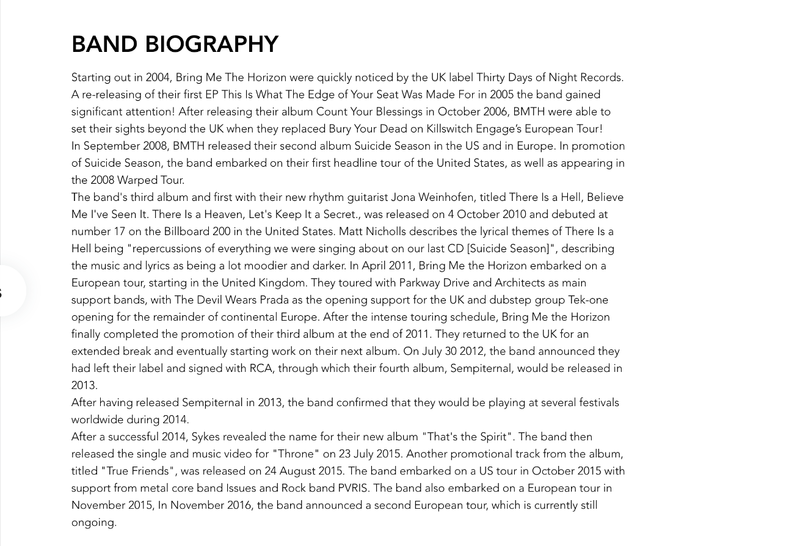 One of the reasons was because the page of the links list of "The Band" looked so bare, with just the 5 pictures and the band members names. Another reason for putting quotes was that, our individual actor's came up with them. link to our website.